The notorious Bigg Market is home to rowdy, unruly nights out in The Toon. The spirits are high and booze prices are low. Formerly the site of Newcastle’s zoo, the lively hub is now a mint nightlife spot - where herds of party animals flock to eat, drink and choose their mate – not much has changed. 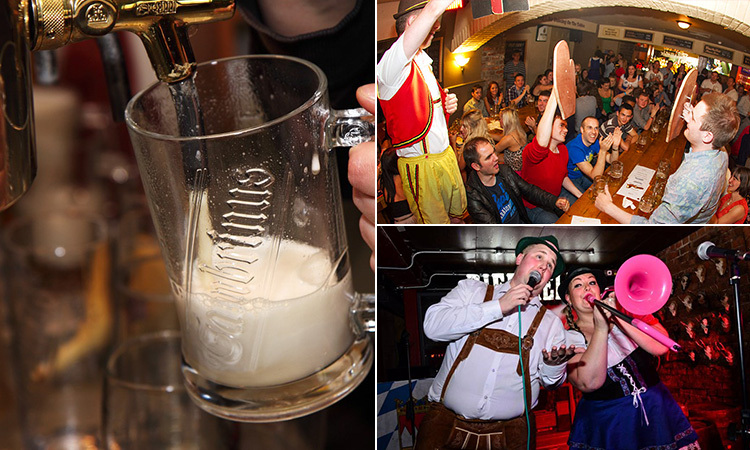 You may not be in the heart of Hamburg, the middle of Munich or the core of Cologne on your stag weekend, but you’ll sure feel like it in the Bigg Market’s Stein Bier Keller. This raucous, underground Bavarian bar boasts typical German draught beers served in steins, lederhosen-clad bar staff, live Oom-pah bands and encourages you to let your hair down, Bavarian badass style. 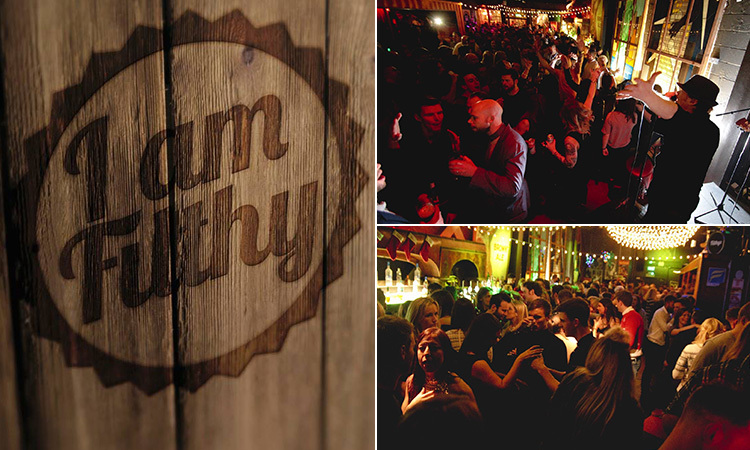 Expect dancing on the tables and beer-fuelled tomfoolery. 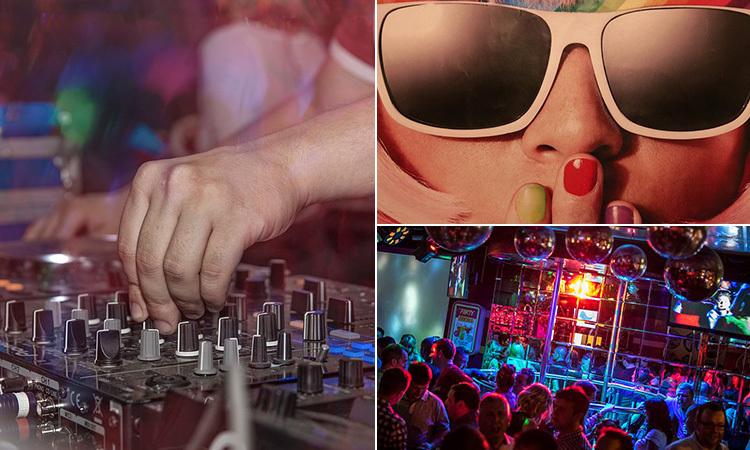 A bustling, bouncing and one-of-a-kind bar – it’s the ideal place to kick off any stag do in The Bigg Market. There ain’t no party like a Pop World party. There ain’t no party like a Pop World party. All your guilty pleasures bundled up, wrapped, with a huge, gaudy bow on the top – Pop World has a Bigg reputation and an even Bigg-er personality. Set slap bang in the heart of the Bigg Market, you’ll be transported back to a time of huge curly perms, neon leg warmers and retro rollerskates – surrounded by the best chart and cheese in The Toon. 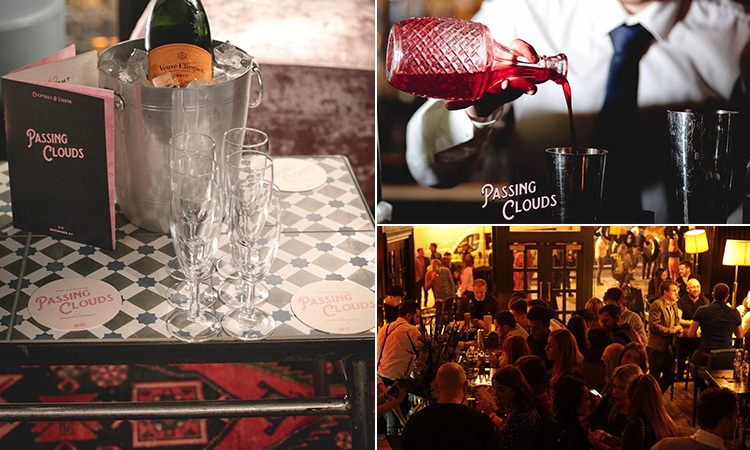 Cosy Joe certainly knows what he’s doing when it comes to throwing the ultimate party. 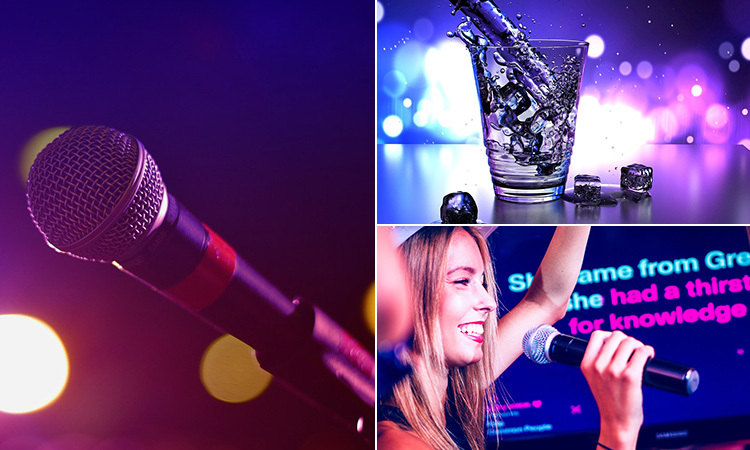 The lively karaoke bar-come-club attracts X-Factor wannabes in their droves (note: you’re one of them). 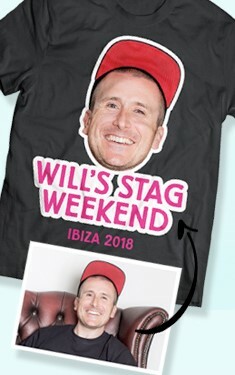 With extravagant drinks menu – including The Glitterbomb, Cuervo Gold Tequila and the lethal CosyJoe rum and Smirnoff cocktail – downing a bit of Dutch courage and blasting out that power ballad never felt so good. 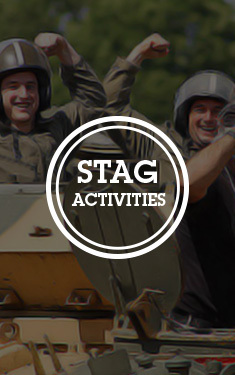 Welcoming stag and hen groups with open arms – and actively encouraging crazy fancy dress – Cosy Joe is your new best mate. 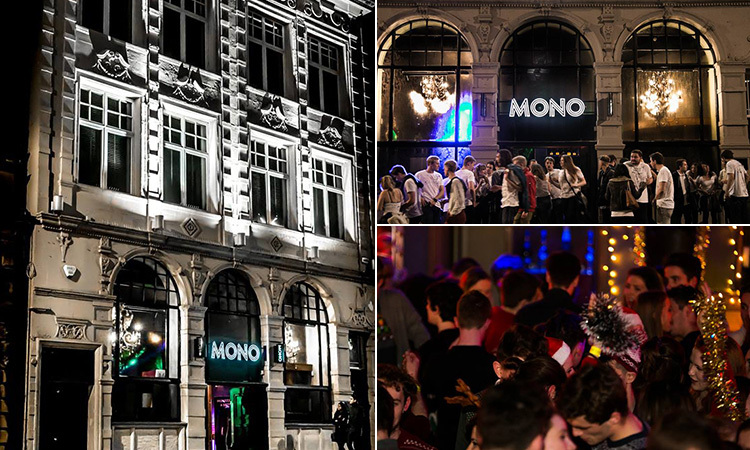 Synonymous with the Geordie Shore lot, Mono bar is one seriously fashionable haunt. Located at the very bottom of the Bigg Market, crossing paths with the Diamond Strip, it’s one of the liveliest bars in the whole city. 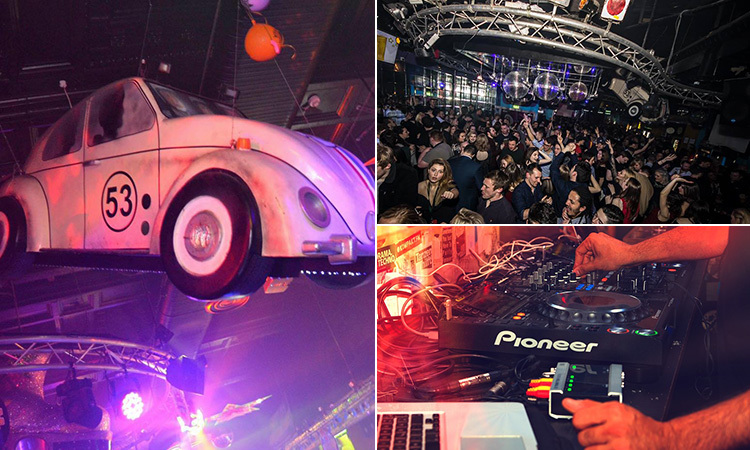 The electric buzz is spread across two floors; the main floor with its palm trees and impressive bar – stocked with vodka and champagne in glass cases - and the banging basement, home to live musicians playing soul, house, disco and funk. Don’t take your wigs, sunnies and lycra off just yet – Flares is everything 70s, loud and proud.